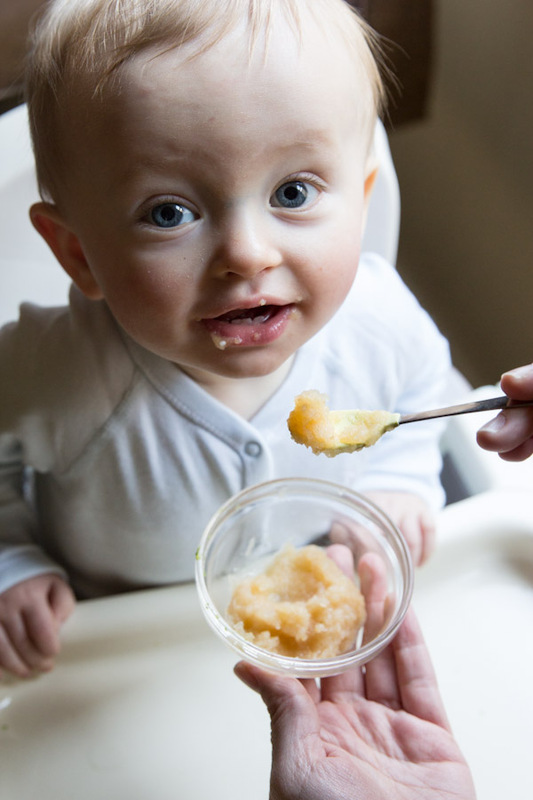 Apple sauce is a quick and easy homemade baby food that most all babies love. 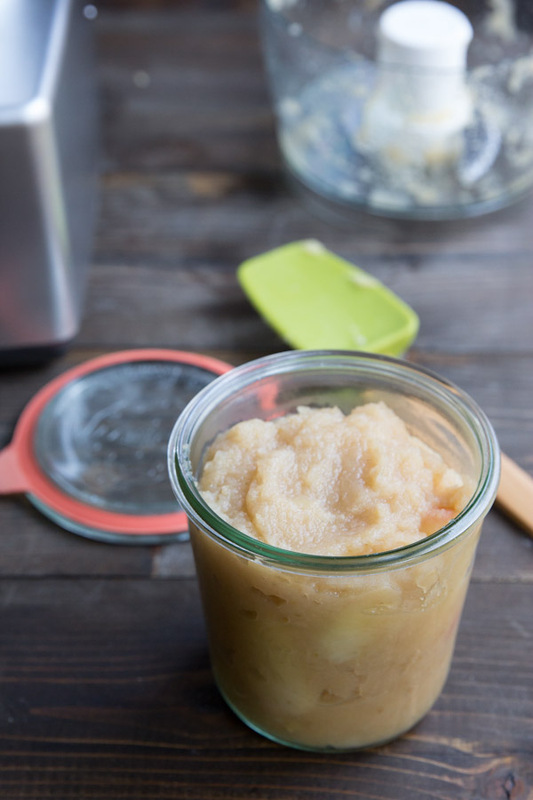 You can make this homemade baby apple sauce in just about 5 minutes and it’s made with no additional sweeteners- just pure organic apples. I tasted it for myself (more than just a taste actually) and it’s perfectly flavorful and sweet! My friend Isabel fed Everett his first bite of the apple sauce and he loved it! He devoured more than a full serving. Being a nutritionist, she mentioned that it’s best to buy organic apples and keep the skin on since a lot of the nutrients are in the skin. Also, the most nutrition is abosorbed if you eat the apples right after making the sauce. 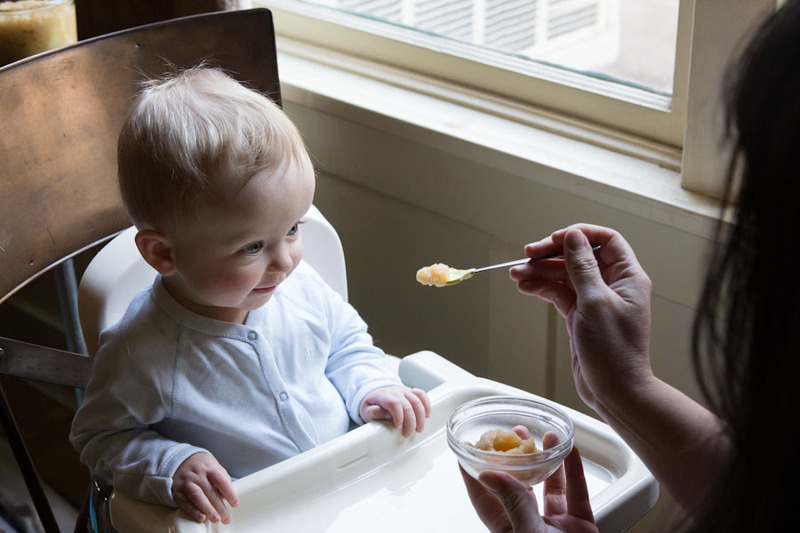 As soon as you bite into or cut into food it starts to oxidize and the nutrients break down. That’s where the term ‘whole foods’ comes from for a healthy diet. Foods in their whole, raw nature are always the most nutritious. 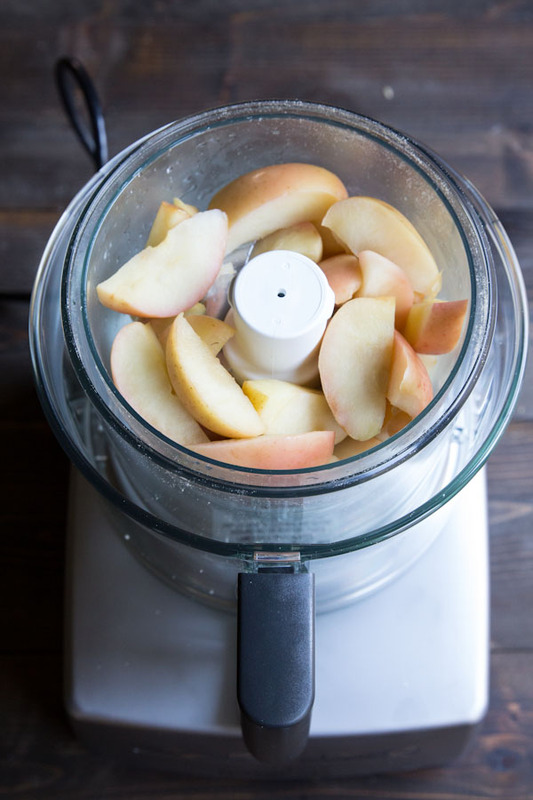 So for this apple sauce, don’t over-steam and keep in mind that it’s most beneficial if eaten soon after making it. use organic because apples are one of the top most pesticide and hormone contaminated produce, not cool for growing babies and their development. use as little time as you need to steam. You don’t want to burn flavor or the fruit. This ensures optimal nutrition and taste. 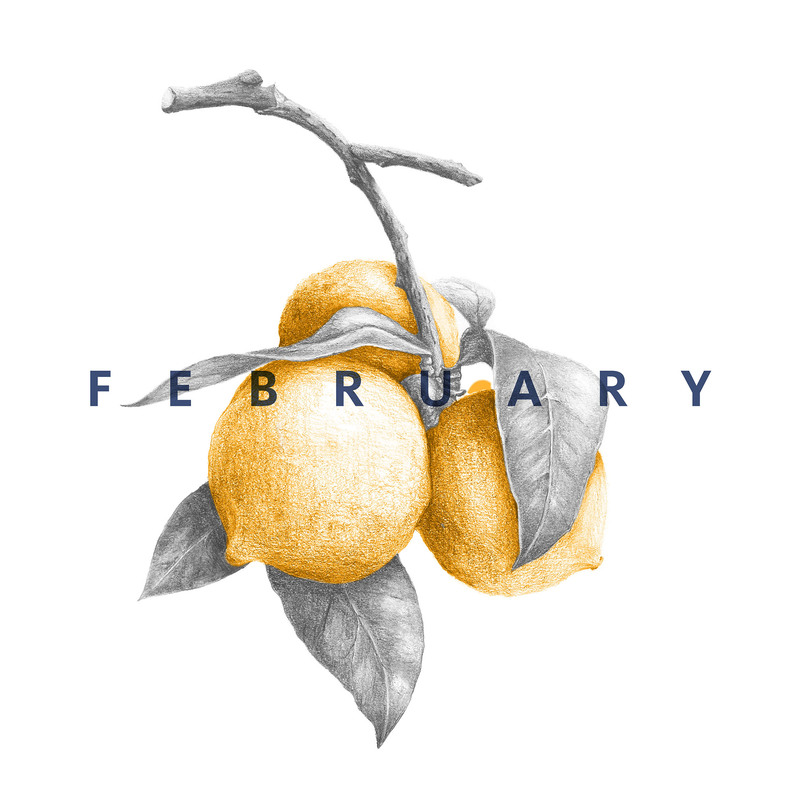 for older kids or adults, if you want to add flavor, simply use a lemon (or peel), or add cinnamon sticks to the steam. 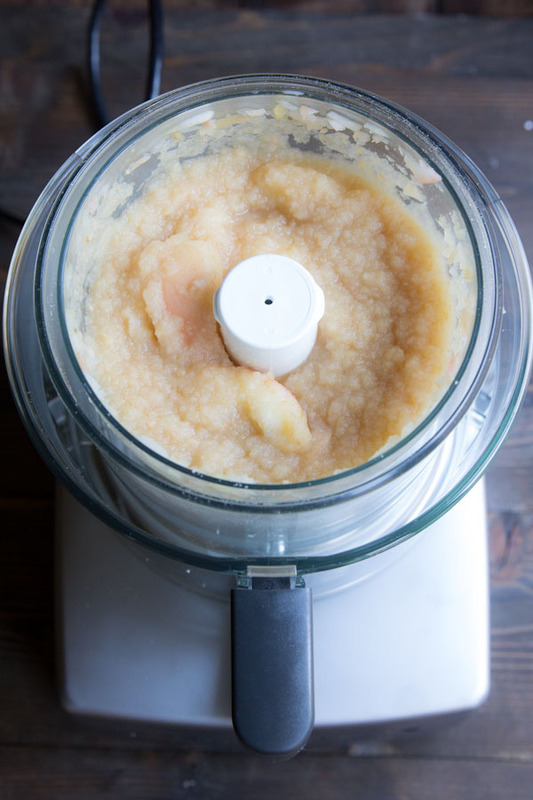 For more tips from Isabel on homemade applesauce check out her apple sauce post here. 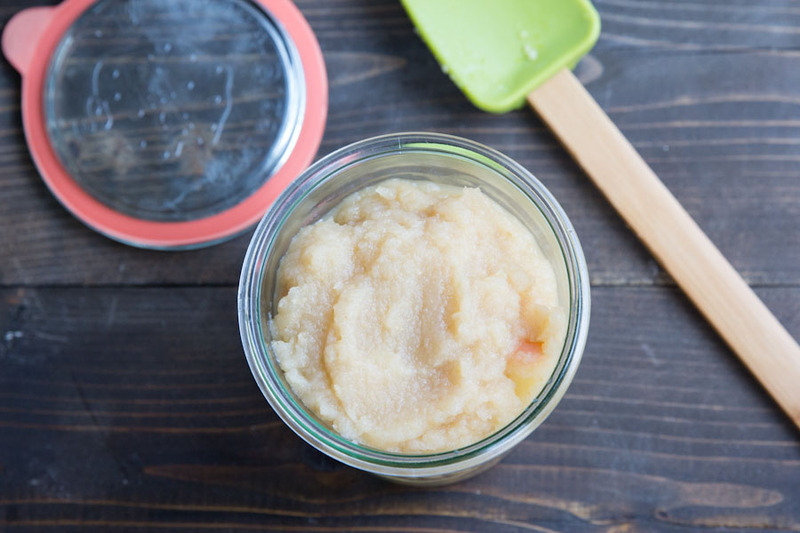 A 10 minute recipe for baby apple sauce with no added sugars. Wash, core and slice apples into even pieces. Steam apples for 5 mins. I don’t get it, you say it’s best to eat as soon as the sauce it made,then how can we store it in the refrigerator for a week. Will it still be nutritious? And how do you warm it up before serving Everret. 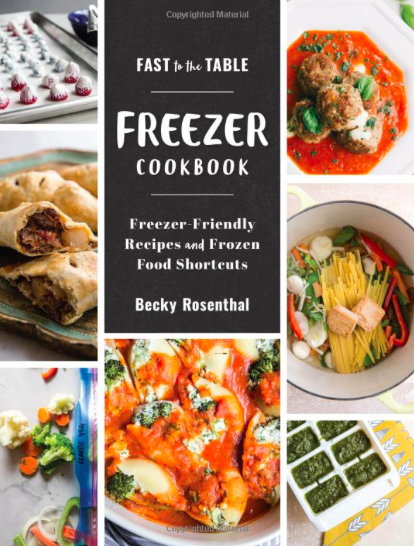 Can it be frozen? Say, in breast milk bags? Yes, this should freeze fine! The texture might change slightly but it will stay good. Also, I’d add a little lemon juice to help it not to brown or discolor.